Jay Paterno is still mad and he’s not going to take it anymore. The former Penn State University Quarterbacks Coach and son of the late Coach Joe Paterno is suing PSU to get what he thinks is owed him by those who have done him wrong. In other words, Jay Paterno has been unable to get a coaching job since PSU cleaned its football house in early 2012. As you might recall, Jay Paterno’s dad, Joe Paterno and other head administrators were fired by the university in light of the 2011 child abuse scandal in which Former PSU Defensive Coordinator Jerry Sandusky was accused and eventually sentenced to 30-60 years for 45 counts of child sexual abuse against ten boys. Once the Sandusky case rocked the university and his dad’s less-than-stellar handling of one reported sexual assault by Sandusky came to light, Jay Paterno should’ve known his coaching days at PSU were numbered, especially once his dad died from the stress of it all or of a guilty conscience. Yet he seemed shocked by the termination. I guess having been employed by your father for seventeen years, twelve of them in a high profile position, means never having to experience the ‘new coach = possible job termination’ phenomenon. Therefore when it happened to Jay Paterno courtesy of O’Brien it was probably a major kick-in-the-gut moment for him though he did receive a severance payment given to ‘Paterno Assistants’ who weren’t retained by O’Brien. It would be hard to argue that the Sandusky scandal hasn’t been an impediment to Jay Paterno’s post-PSU coaching career. What university would want a coach on their team who might have turned a blind eye and/or deaf ear to Sandusky’s sexual assault of young boys (though it has never been alleged or proven that Jay Paterno had knowledge of the incidents)? Of course Jay Paterno’s last name has probably proved more of a hindrance than a help–which isn’t normally how it has worked for him. Hiring him might bring unwanted attention to a school regarding a topic or coach that they don’t wish to discuss. However, there is another question that hasn’t been fully vetted regarding Jay Paterno’s lack of coaching offers. Is it solely because of his ‘connection’ to the Penn State/Sandusky scandal that he hasn’t been hired or could it also involve something else, such as his own coaching history? 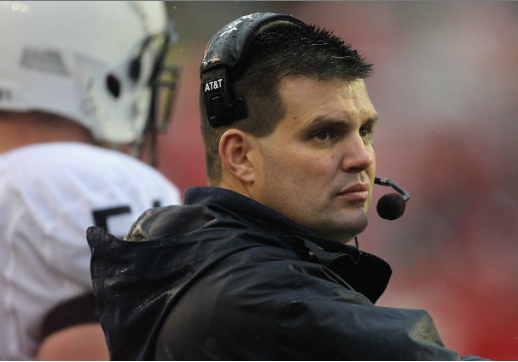 Most of Jay Paterno’s college football experience has been playing and working for his dad. He was a member of the Nittany Lions football team for four years (1986-1990) though he was never a starter. In his final year he was a reserve quarterback for the team. After he graduated from PSU he was a graduate assistant for the University of Virginia football team for a couple of years (1990-1992). 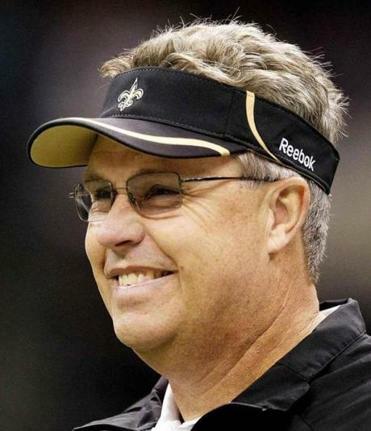 Next up, he was the Quarterbacks and Tight Ends coach at the University of Connecticut for one year (1993-1994). His final stop before returning to PSU was a one-year term as the Quarterbacks Coach at James Madison University (1994-1995). From 1995-1999 he was PSU’s Tight Ends Coach and Recruiting Coordinator then became their Quarterbacks Coach in 1995 until he was terminated in 2012. His football coaching experience amounts to 19 years with 17 of them at Penn State working under his dad. Not exactly a prolific coaching road he’s traveled. Nevertheless, Penn State’s bio of Jay Paterno lauds his quarterback coaching work at the university. [Jay Paterno] has been instrumental in the development of Rob Bolden and Matt McGloin, both of whom have delivered school record-setting performances. Paterno was influential in the development of two-time first-team All-Big Ten signal-caller Daryll Clark. Co-winner of the 2009 Big Ten Silver Football (MVP), Clark was 22-4 as a starter, breaking Penn State records for season (24) and career (43) touchdown passes, season passing yardage (3,003) and season total offense (3,214), among others. Under Paterno’s guidance, Clark gave Penn State a 2,000-yard passer for the fifth straight year. Paterno was instrumental in the development of record-setting quarterbacks Anthony Morelli and Michael Robinson, the 2005 Big Ten MVP. Robinson broke Kerry Collins’ Penn State season total offense mark en route to finishing fifth in voting for the Heisman Trophy. Paterno also coached Zack Mills, who owned or shared 18 school passing and total offense records, including the game passing (399 yards) and total offense (418 yards) marks. Sounds like he’s done some solid work molding successful quarterbacks, but I doubt any of the above QB names beyond Collins (whom he only worked with for one season) rings much of a bell to most NFL fans and with good reason. Yes, some of his quarterbacks broke a few Big 10 Records and two of them finished in the Top 10 of the Heisman Trophy Race during their PSU years (Kerry Collins and Michael Robinson). 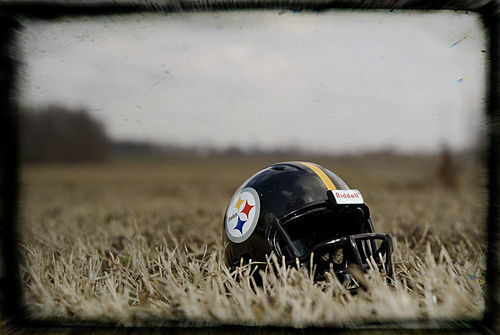 But if you’re a well-known football program what you hang your hat on is how many of your players make it to the NFL. Under Jay Paterno’s coaching tutelage only three of his QBs have made it to the NFL, with one of them playing as a wide receiver. Also PSU quarterbacks during his tenure didn’t exactly do a lot of passing during their games, with only Zack Mills and Matt McGloin cracking the 150 yards per game average. Yes, PSU has traditionally been known for its running game and producing linebackers. 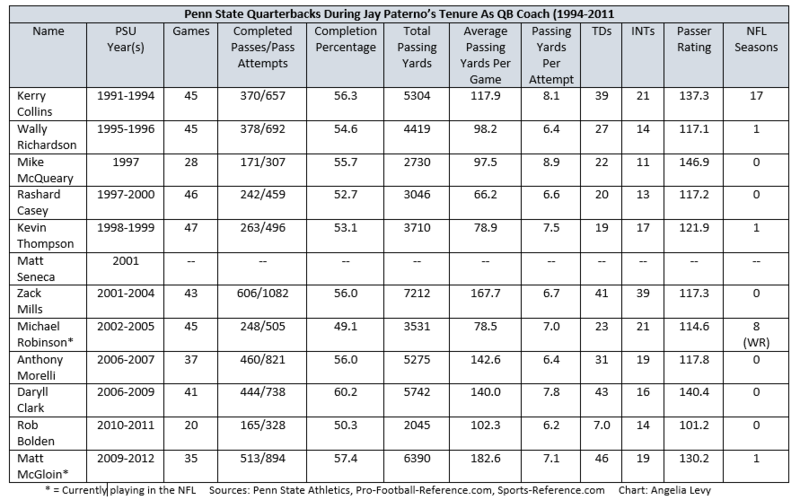 However that doesn’t mean PSU wasn’t interested in putting up large QB numbers, especially since it was in the Big Ten. For the eleven quarterbacks whom he coached at PSU during his 12-year period they only averaged 144.4 passing yards per game. You stack up that data against other well-known or Big Ten quarterbacks during that time period (Kyle Orton, Tom Brady, Chad Henne, Drew Brees) Penn State’s signal callers suffer woefully in comparison, let alone their QB Coach. Neither Penn State or Jay Paterno attracted big-time quarterbacks and they definitely didn’t produce them. Is it any wonder that college football programs haven’t been clamoring for his quarterback coaching services? Due to a lack of college coaching offers Jay Paterno had to find another career path. Maybe he could’ve stepped back a level and done some high school coaching or become an athletic administrator at a smaller school, sensible decisions to most people, unless you’re a Paterno. Instead, he decided to run for public office. In a somewhat ‘go big or go home’ political move he announced in February 2014 that he was running in the Democratic Race for Lieutenant Governor of Pennsylvania. As to be expected, his campaign was practically over before it started. The validity of the 1,000 signatures his campaign collected to have his name officially put on the ballot became a legal sticking point. In addition, he had zero political experience, was running against six other politically-seasoned candidates and the issue of him being accused of trading off his family name for votes was a salient one. Inevitably, on March 28, 2014 he dropped out of the race. Luckily for him he had another career back-up plan. 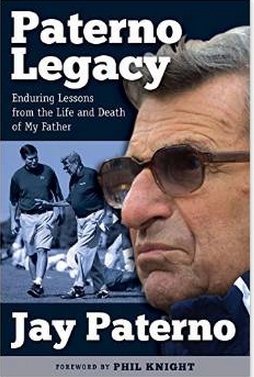 While he was running for office he had been working on his first book Paterno Legacy: Enduring Lessons from the Life and Death of My Father, which was released this summer. The books’s purpose in so many words is to remind others that they shouldn’t allow the Sandusky issue to define Joe Paterno’s life and football legacy. Jay Paterno has always defended his dad’s actions surrounding the Sandusky child sexual assault scandal, stating that “in no way shape or form would Joe Paterno have put anybody in harm’s way” though the Freeh Report which investigated PSU’s actions regarding the Sandusky matter stated otherwise. Nevertheless, the book will probably do well among PSU Alumni who still strongly believe that PSU should honor Joe Paterno for his service to the university, if no one else. Jay Paterno must think being a writer/author will be a good career move. 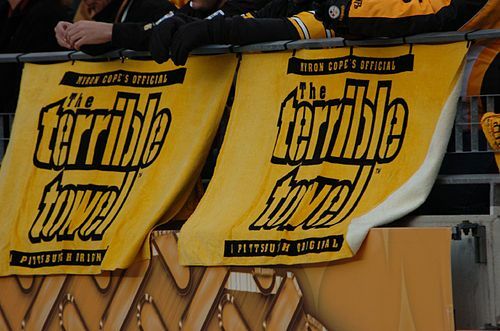 Besides his bi-monthly column for StateCollege.com, his official website (formerly his campaign website) mentions that he is working on a second book tentatively titled ‘School Colors’ that will “take readers inside a year of big-time college football.” Guess he’ll be speaking from personal experience. Jay Paterno may believe that Penn State has sabotaged his coaching career because the university is trying to run as fast as it can from all those who were employed by Joe Paterno and/or connected to Jerry Sandusky. Given the fact that Jay Paterno has never been accused of having knowledge of Sandusky’s actions it would seem that maybe the scandal hasn’t tarnished him as much as he alleges. What seems to really be at play in Jay Paterno’s post-PSU work history is good, old-fashioned nepotism. He worked twelve years as the quarterbacks coach for his dad churning out mediocre talent at best with a couple of bright spots. Given his coaching record with his quarterbacks he wouldn’t have lasted nearly as long if he was at another college football program. The only reason why he did is because of his last name. He knows it and so does the college football coaching community. His short-term dive into politics (which was probably his first truly obvious attempt to trade on his family’s name) was, to be blunt, a vanity-filled, waste-of-time. In this instance, nepotism and politics weren’t on friendly terms. As for his writing career, maybe he will become a successful author, but given his track record it seems unlikely. 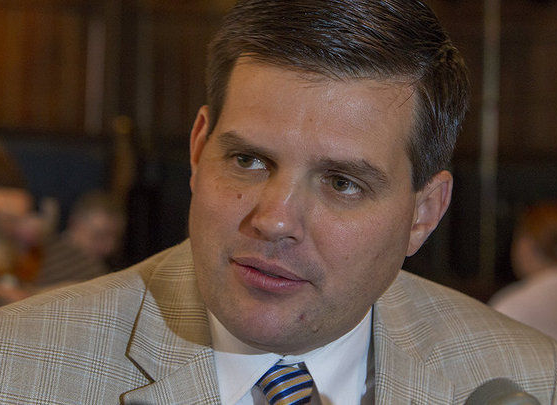 In the end Jay Paterno might be good at only one thing – being the son of Joe Paterno. 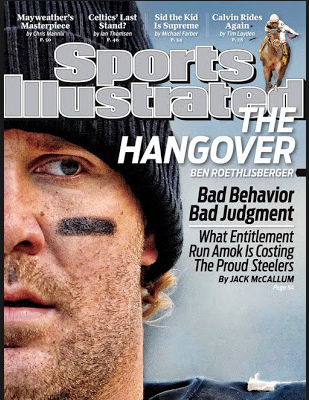 Can’t blame Penn State, Sandusky or O’Brien for that – only himself.